Fountainwood, including The Woods of Fountainwood, is a wonderful community of acreage estate home sites just outside of Georgetown. Residents enjoy the country living with all of the conveniences of the city such as nearby schools and grocery stores. The low property tax rates here are also a big plus for the residents as well. Lake Georgetown being nearby is also a big plus. 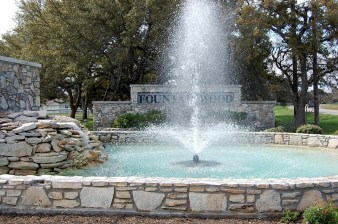 Fountainwood residents have fairly short commutes into Austin, Round Rock, LIberty Hill, Cedar Park, Leander, Salado. Shopping is also fairly close to you at places such as Wolf Ranch, IKEA, and Round Rock Outlet Mall. Medical needs are also fairly close with such places as Scott and White Round Rock, and Seton Medical Center Williamson also in Round Rock. Homes for sale in Fountainwood typically run from the mid $200's-low $400's. Jo Ann Ford elementary, Douglas Benold middle, and Georgetown high school.